So four more years of Trump MMA? The strangest stories in sports is always the underdog and despite his brash persona, Donald Trump was kind of the underdog going into the 2016 Presidential Election. People love an underdog story (????) and somehow, someway Donald Trump is the President of The United States of America. 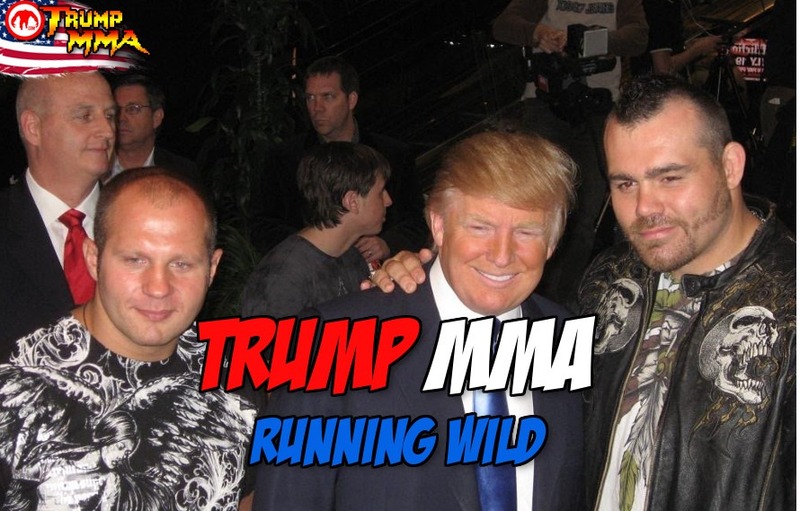 2016 has been a crazy year for MMA both in the cage and in the street but no one could predicted the crossover of Trump in mixed martial arts that spawned the Trump MMA craze. We told you to protect yourself at all times at a Trump rally and it looks like a good portion of the online MMA community took it to heart. On election night 2016 a whole lot of MMA fighters did a victory celebration as Donald Trump cruised to victory over Hilary Clinton. Here are the top ten best reactions from the MMA community on Donald Trump being elected to the office of President of the US of A. 6. Tim Kennedy in the running for a Trump cabinet spot?